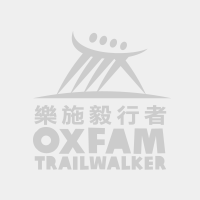 Oxfam Trailwalker 2018 was successfully concluded on 18 November! Congratulations and great thanks to everyone who has taken part in Oxfam Trailwalker 2018! Your every effort contributed to the success of this large-scale event which helps raise fund to improve the livelihood of people in need! Following is the ranking result for your information. All Fastest teams listed below should provide documentation (such as HKID card, staff cards, corporate sponsorship letters, etc.) to prove that at least TWO of the team members are eligible for Speed Award of that category no later than 7 December. Any team failing to do so will be disqualified for the award of the related category. Please note that the Speed Award will be presented to the fastest full team in each category, on the condition that the finishing time is 24 hours or less. Should teams spot any discrepancies *, please inform Oxfam Hong Kong (email: otwinfo@oxfam.org.hk, Tel: 2520 2525) no later than 30 November. Many thanks! * We shall rectify the result, whenever necessary. However, Oxfam’s decision on ranking shall be final. Insurance 8126 亞洲保險 Cosmoboys Team 1 Asia Insurance Co. Ltd.